In India, there are millions of employment opportunities seeking to be filled by quality college graduates. Each year, nearly 5 million students graduate from India’s (non-elite) colleges and are deemed ‘unemployable’ due to the lack of required skillsets. According to reports, nearly 75 per cent of engineers, 85 per cent of finance majors, and more than 90 per cent of the other graduates from non-elite Indian colleges are not readily employable. This leads to two problems – one, college graduates are forced to take up low-paying jobs outside the focus of their degree and then invest additional time and money in remedial skills including – English language skills, project management abilities, use of productivity software, sales skill etc. Two, when companies end up hiring low-qualified graduates, they need to make significant additional investments in skills re-training. In most cases, this cost is deducted from the employee’s compensation. iSTAR is “revolutionizing education through engaging, creative content and immersive gamified experiences.” By partnering with colleges, iSTAR works directly with college graduates and impacts critical success skillsets required for business and commerce graduates to be employable post-graduation. iSTAR has been an early pioneer in addressing India’s skill challenge and has been recognized by the Government of India’s National Skill Development Corporation as a Partner Institution and received the prestigious Power of Ideas Award in the Social Enterprise Category in 2010.
iSTAR curriculum is designed keeping in mind the requirements provided by hiring companies and is delivered at an affordable cost. Additionally, iSTAR provides career counselling and job placement support to graduates to accelerate their job search process. Since founding, iSTAR has trained more than 20,000 students. Further, colleges that impact the iSTAR curriculum to their students have witnessed their placement rates increase by at least 60 – 70 per cent. Over the next five year, iSTAR is aiming to train over 500,000 students across India, a vast majority of these belonging to low-income families. Surga oversees sales and operations along with the strategic directions at iSTAR. 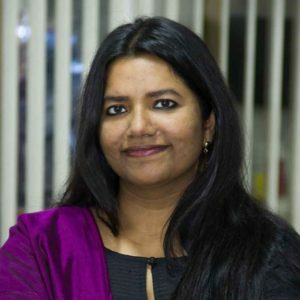 Prior to co-founding iSTAR, worked at Ujjivan Financial Services, India’s leading microfinance institution as their Head, Marketing and designed and executed several innovative loan products for the urban poor. Surga has an MBA from the Indian Institute of Management, Ahmedabad and is an associate member of the Institute of Chartered Accountants of India. She is a gold medallist at the board, university and chartered accountancy levels. 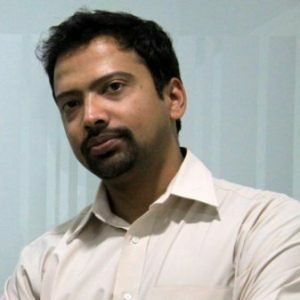 Sreeram is responsible for ISTAR’s overall product strategy and implementation. Sreeram has an MBA from the Indian Institute of Management, Ahmedabad and a Masters in Computer Science from the University of Colorado, Boulder. In a previous life, Sreeram co-founded Brewhaha Entertainment, a startup in the retail leisure entertainment and hospitality space where he became obsessed with gaming. Prior to starting Brewhaha, Sreeram worked as a Program Manager for Microsoft Corporation in its Enterprise Migration unit.